If you are parents of multiples, you may be well aware of a behavioral trait that can affect twins in a way that is unlike any other children. It is characterized by misbehavior or tantrums that can escalate exponentially, occurring anywhere from infancy right up until early childhood. Known as twin escalation syndrome (TES), the condition is defined by the tendency of multiples to copy and intensify the behavior of the other, cycling back and forth until the behavior becomes near-unbearable. For example, when twin A starts to cry, twin B will chime in even louder, kicking off a back and forth that eventually degenerates into mayhem. Given that TES can occur in babies, it is unlikely that the behavior is purely the "acting out" that one might expect of a two-year-old or preschooler. Instead, TES may be an instinctive form of "anteing up" with no other aim than to do (or outdo) what the other twin is doing. When triples or quadruplets are involved, the effect can be further amplified. Not that TES is necessarily a given. With some twins, one child may suddenly go quiet when the other has a meltdown. As with TES, the behavior seems almost instinctive, as if the child knows that he or she needs to compensate for the other's misbehavior. When faced with TES, your first line of defense is the physical separation of your twins, ideally in places where they are less likely to react to the other's behavior. If the twins are old enough for time-outs, utilize them when the escalation gets out of hand. The general rule for time-out discipline is one minute per year of age. Sometimes. parents can diffuse an escalating situation with distraction. Depending on the age of the children, different techniques can be used. Toddlers may respond to a toy or fun activity. Older children may be distracted if you read them a story or enlist their aid in a chore or activity. The root of TES is competition. 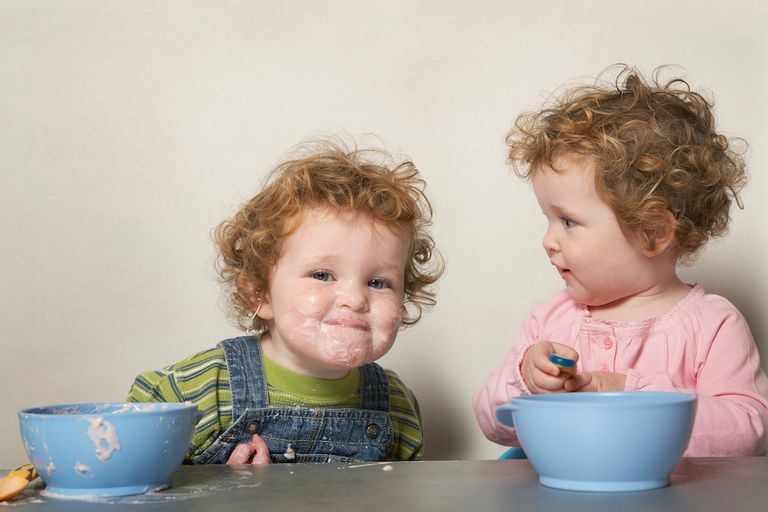 As with any other children, twins will crave attention and approval as individuals. If they don't get it, they will often demand it by misbehaving or acting out. While meeting these needs simultaneously can be challenging, there are things you can do to alleviate competition even before it even begins. Start by ensuring ample one-on-one time with each child rather than always doing things in pairs. Designate priorities so that each child feels confident that he or she will have a turn. And, finally, make a point of acknowledging—and actively encouraging—each child's individual interests, opinions, and talents. If faced with a twin meltdown, do not get drawn into the escalation. With TES, this will only make things worse. While staying calm may be easier said than done, taking a "parent time-out" by counting to 20 can often help. Ultimately, your composure is key to diffusing the situation. Try not to lose it. Is Twin Telepathy a Real Phenomenon?